Helix Portal, transforming guest issues into memorable experiences. The Helix Portal provides you with tools to communicate with your guests, monitor staff engagement, and draw insights to improve internal guest satisfaction metrics — from feedback provided by your team and guests. Ensure your team always stays ahead of the curve, by uncovering in-stay guest issues as they happen. Real-time guest feedback creates more productive conversations, which in turn, helps you learn more about your guests and their needs. Set your team up for success by giving them clear visibility into in-stay guest issues and the effective tools required to provide world-class service. Which means, improved guest satisfaction, increased intent to return and greater loyalty overall. Easily view and analyse important guest metrics with your entire team, so everyone can work together towards resolving guest issues as they occur. 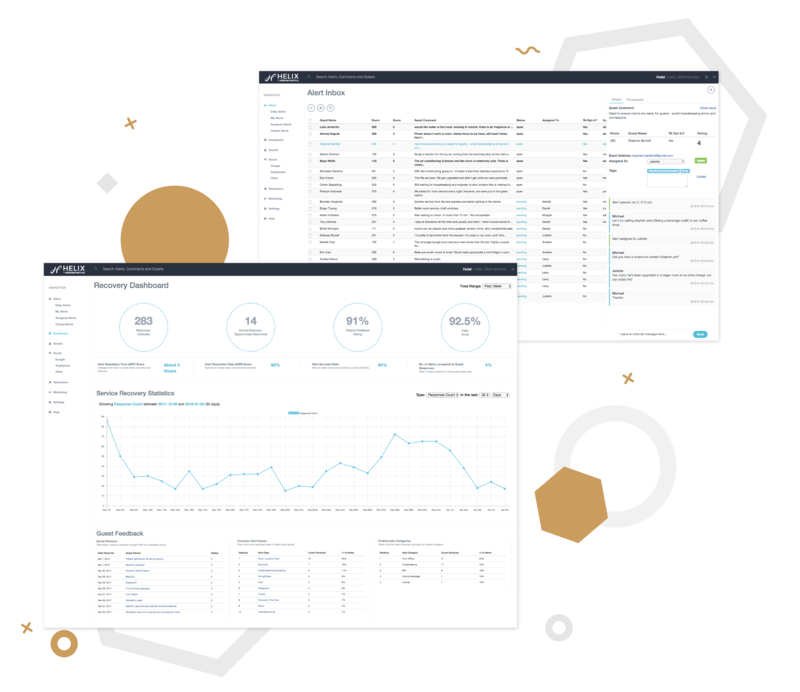 Follow progress on recent guest issues, anticipate guest trends from your own data, view service recovery times, and manage your team — all in one place.